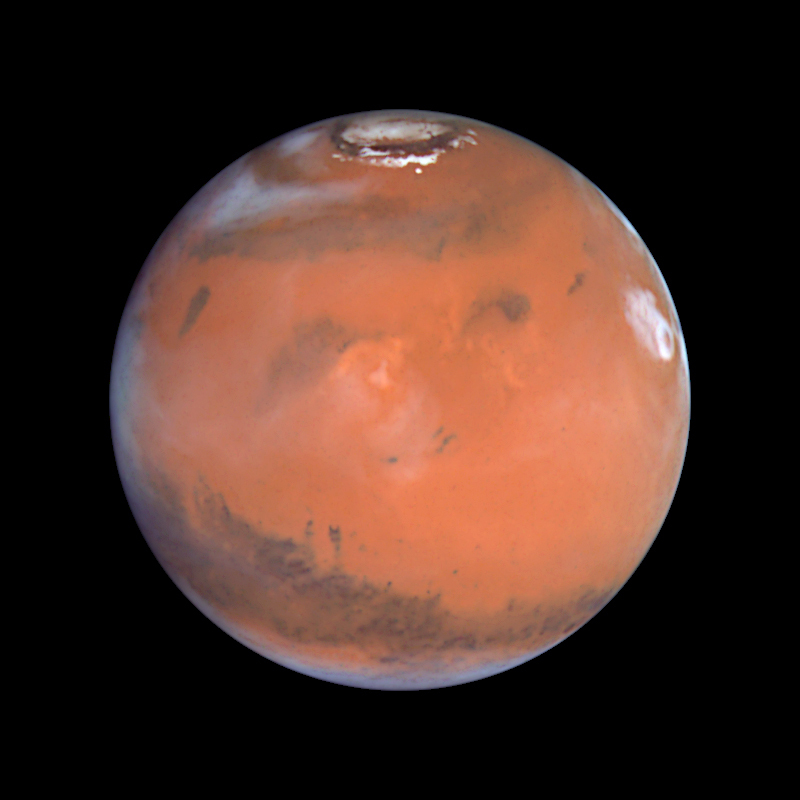 Clearly Visible below in this Hubble Space Telescope photo is the North Polar Opening of Mars. you can see the clouds down inside on the sides of the polar opening. NASA admits these are water "ice" clouds, so the interior of Mars must have water. during winter when our Sun does not reach the north pole.